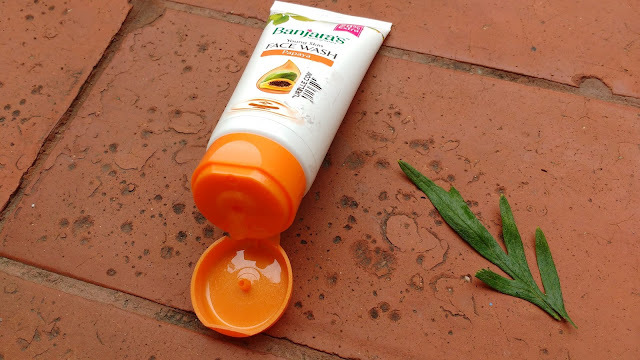 Papaya is very good for skin and today I will be reviewing young skin 'papaya' version of banjaras face wash which was a part of my purplle shopping haul. 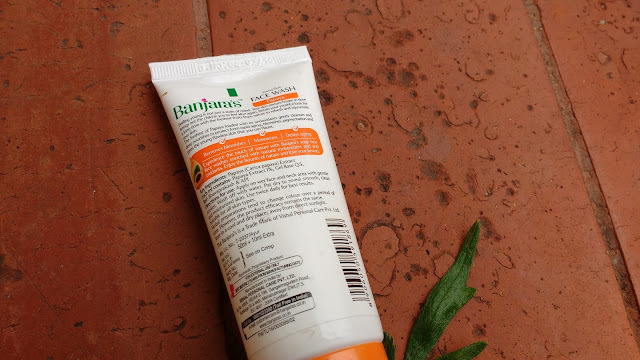 The Banjaras papaya face wash comes in a white tube with a bright orange flip cap which shuts tight and is travel friendly. 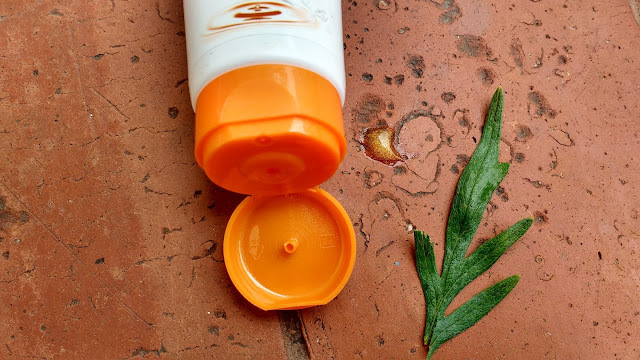 The product itself is gel like orange with a thick texture. 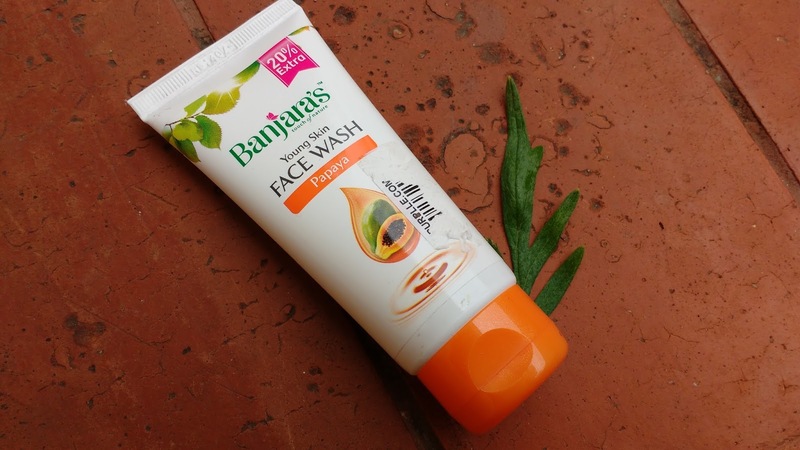 I have three other face washes from banjaras but the texture of this particular face wash was something very different. The product has a gel like thick texture with a very fruity scent which will surely irritate sensitive noses so be warned. I squeeze out some product on my palm and massage it gently on my face and it doesnt foam much and though it is thick but it is smooth gel so it gets applied easily. It also gets cleansed easily and Iam left with a clean and hydrated feeling. This face wash is soap free and doesnt irritate my skin making it ideal for dry skinned beauties but I dont thing the face wash can make my skin look young but it does moisturize and make it look radiant, but thats about it. Anyway I think it is foolish to invest in any anti ageing face wash because for the product to work its magic it needs to stay on the skin for sometime and face washes need to be washed off soon. So overall Banjara’s Papaya Face Wash is a good face wash if you like your face washes not to lather much and if you can handle the fruity strong scent.